So there you have it for safe distances in different weathers, 2 seconds in good, dry conditions, 4 seconds in wet rainy conditions, and 10 seconds in snowy and icy conditions. In all conditions: bikes are smaller therefore harder to see, they may disappear into your blind spot, sun glare may blind you to them, drab rainy conditions may bleach them from your mirror glances. Potholes: Icy weather conditions leave behind potholes in the road which are lethal to bikes, therefor lookout for sudden swerving movements from bikes ahead of you and give a wide birth if overtaking. Ironworks: In wet, snowy, icy conditions, grates embedded into the road will become extra slippery, so just like potholes, bike riders will avoid them at all costs. What’s the message? Be prepared for sudden swerves from bikes ahead of you whether the weather is wet or dry. Wind: Bikes again are very vulnerable to strong side winds but so are high sided vehicles so the message stays the same, be aware these groups of vehicles may get blown across the carriageway. When the fog descends your visibility can be greatly reduced, so much so that you have fog lights specifically for those times. The highway code tells you to use these fog lights when visibility gets to below 100 metres. In the theory test ace book ‘Pass your theory test in a day’ I refer to this as the 100 metre fog shed. This is a theory test question (not the fog shed bit) but also related to this is when the fog clears and visibility becomes better than 100 metres. The highway code makes it clear you must now switch OFF your fog lights as to not do so may confuse other drivers into thinking you are applying your brakes. This is a term that refers to that phenomenon of driving while not consciously aware of your environment. Not a driver yet? Don’t worry (or do worry), it WILL happen to you too. It is that state of where your mind snaps back to the present moment and you have no conscious memory of the last few minutes of your journey. We can, of course, blame the weather among other things for this and here’s why. On a long journey when there is not much to see in the environment, the mind is prone to going off for a wander. Dreary rainy conditions can exacerbate the situation by bleaching out the environment. Likewise settling snow can create a whiteout and make the surrounding environment bland and uninteresting. It is always advised to only make emergency journeys in such conditions but if you must then here are some tips that are also theory test questions. Aquaplaning. 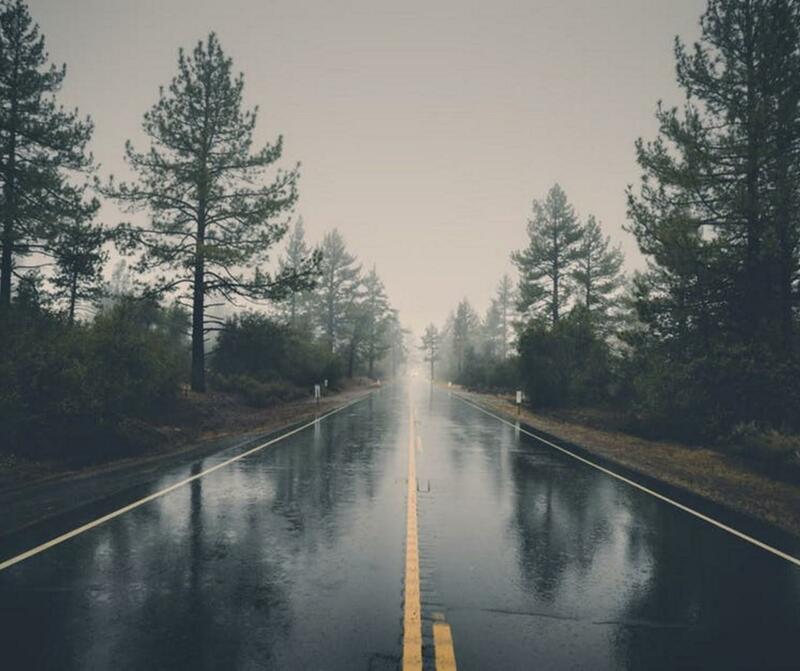 A thin layer of water forms between the road and your tyres, this occurs when you are driving too fast (anything from mid fifty mph upwards) on a wet road surface. When this happens you will no longer have control of your vehicle and all will become quiet as your tyres no longer have contact with the road. 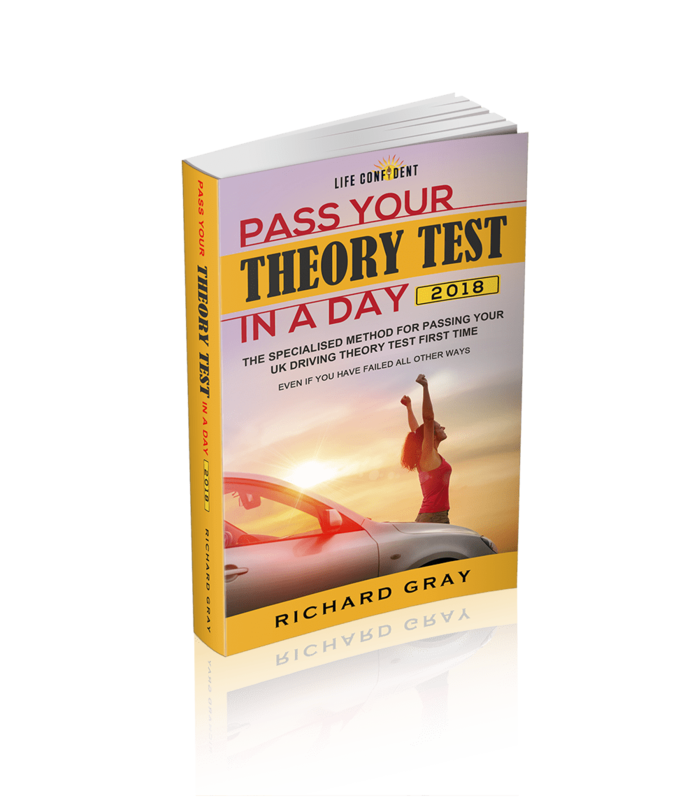 Discover the specialist theory test study approach, 'Pass your theory test in a day', designed specifically for those who experience anxiety with tests and struggle to recall information.